Ensuring top players from Major League Baseball (MLB) participate at the Olympics should be the priority for the sport's governing body as they prepare for the Games, the sports director of Tokyo 2020 has warned. World Baseball Softball Confederation (WBSC) President Riccardo Fraccari has claimed that ensuring a round-robin format remains their priority as this would ensure more games for participating players. Tokyo 2020, however, maintain that a group format consisting of two pools of three teams would be best rather than a round-robin competition. Fraccari has also implied that this format would make it more likely that MLB players would be permitted to participate because the league would be less likely to let them leave to potentially play in only one or two matches. Tokyo 2020 sports director Koji Murofushi claimed that two pools would be best for their current plan to only use one primary stadium, in Yokohama, for both men's baseball and women's softball. The two sports are returning to the programme in baseball-mad Japan after a 12 year absence since their exclusion following Beijing 2008. "We cannot conduct, in the one venue, enough games," Murofushi, the Athens 2004 Olympic hammer champion, told insidethegames here during the International Association of Athletics Federations World Championships. 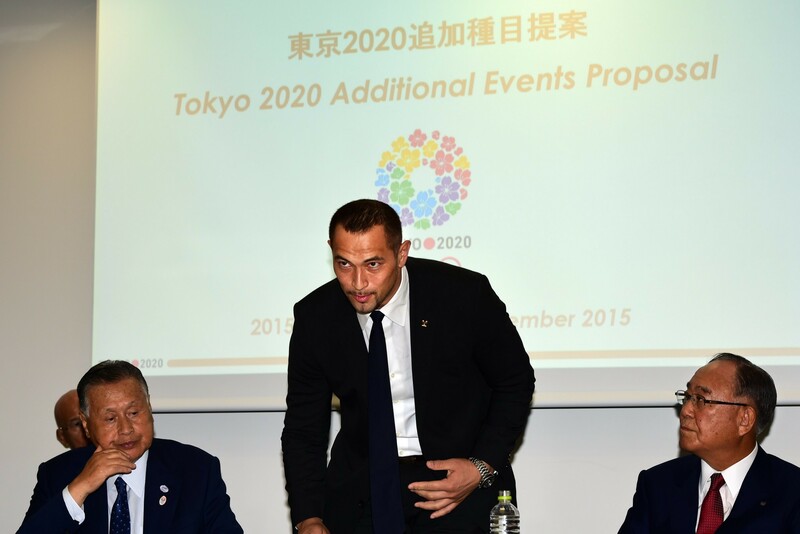 "I know that it's a challenge but we want the best games in the world at Tokyo 2020. "For using one venue, we think this [two groups of three] is the best solution. "We have softball too, so for having both in the stadium, we think that this is the best option." Tokyo 2020 are currently finalising the detailed competition schedule for all sports in conjunction with the International Olympic Committee (IOC). It is a process they hope to finish in the next "six to nine months". At present, one baseball and one softball game is expected to take place in Fukushima, more than 300 kilometres to the north of Tokyo. The WBSC hope that this will be the first game of each competition in order to minimise travel and other logistical challenges. Matches in Fukushima would be symbolic following the 2011 earthquake and tsunami in the region which left 16,000 dead. The world governing body have also repeatedly called for a second venue in Tokyo. This request has been denied by Japanese organisers. Fraccari has now claimed they would be prepared to accept the one main stadium plan so long as they get their way over the round-robin format. "Nothing has been decided," a WBSC spokesperson added to insidethegames today. "We'll continue talks with the IOC and Tokyo 2020 organisers as to what is the best possible solution, also considering the limited one main venue." Murofushi believes that the WBSC should be prioritising MLB discussions. "We really want the best athletes to come to Tokyo 2020," he told insidethegames. "We want the the top-level athletes. "That is more important from our perspective, which would mean Major League [Baseball]. "We hope WBSC can agree with Major League. "It's the Olympics and it's a great chance for baseball and softball to come back, so hopefully [this will be successful]. "That is what we are expecting, from the Tokyo side - everyone is expecting that. "We want the best athletes, that's the number one priority." The National Hockey League is continuing to maintain that players from the league will be barred from next year's Winter Olympic ice hockey in Pyeongchang, despite participating in the past five editions. Unlike with ice hockey, the WBSC believe that there is no need for the MLB season to be halted due to the Olympics. This is particularly because only six baseball teams will participate - meaning some of the world's best players will not be there anyway. "I think that our case is completely different [from NHL]," Fraccari said last month. "We have many other professional organisations, in Japan, in Korea, in Taiwan. "We need to fix other matters first, such as the length, format and how many games there will be. "But we already have MLB's commitment in principle. "We never asked to stop a season, I think that, especially with six teams, this is not needed." The MLB did announce late last month that they plan to start both the 2019 and 2020 seasons in Asia.